It's been two years since I first got my hands on my 15 plastic 'sweet' jars to use for a Halloween feature, and what a helpful send they've been! Originally I planned to use them just for a Halloween feature, but soon after using them for the first time, I realised just how perfect they'd be for so many things, and not just sweets! Using them just for Halloween would mean that they'd only come out of the attic once a year for Halloween, and that just didn't fit right with me, they're so cute, I knew that they could be used for more than sweets, and so I and others started finding other ways to use them! 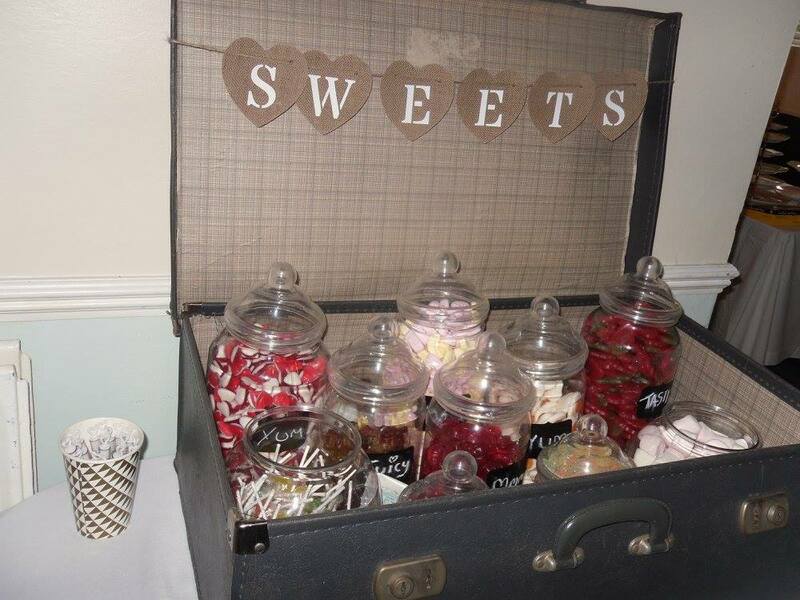 Of course their original purpose is to house sweets, and sweet's they've housed indeed! From being a regular guest at my Halloween feature parties, to attending my sister's wedding, these jars have housed thousands of sweets between them, and have seen more faces than I can remember! What I love about them is the fact that they're all different sizes (three of each), meaning there's no sweet too big or too small to fit into them! Use Two: Craft Supplies - NO GLITTER!!! Having so many jars and not enough treats meant that I had to find other ways to use the sweet jars, when I had an idea -a clever idea and a stupid one rolled into one - Spud's art and craft supplies! It worked wonders with the loose bits of tissue paper, pipe wire and felt pom poms, it didn't work well with the glitter tubes though and sadly one of the jars had to be replaced! Dry foods like pasta, spaghetti, biscuits and cereal are perfect foods to be housed in these jars, I did try bread rolls once but sadly they went a big soggy so bread is a no go, otherwise dry foods work really well in the containers! I read a tip online that when using plastic for such, to lay a piece of kitchen towel at the bottom of the container, I've not tried it myself as I have no problems, but maybe it could help others. Pegs are made mainly using plastic materials and fit into the large sweet jars I have really well. Unlike peg bags, they don't get dirty and they close up properly unlike many peg bags I've used in the past. Simply unscrew and screw the lid on whenever you need to use your pegs and be sure that no creepy crawlies are going to crawl onto you ever again - not from using pegs anyway! I have so many utensils that my poor cutlery drawer started to house more than the actual utensil holder itself! By taking the lid off of one of my largest sweet jars, I was able to place all my utensils into one jar with ease and still have room for more if I ever come across a utensil I don't own! Though I could do with a bigger rolling pin, so that's one to add to the collection! There we have it, five ways to use sweet jars, other than housing sweets!